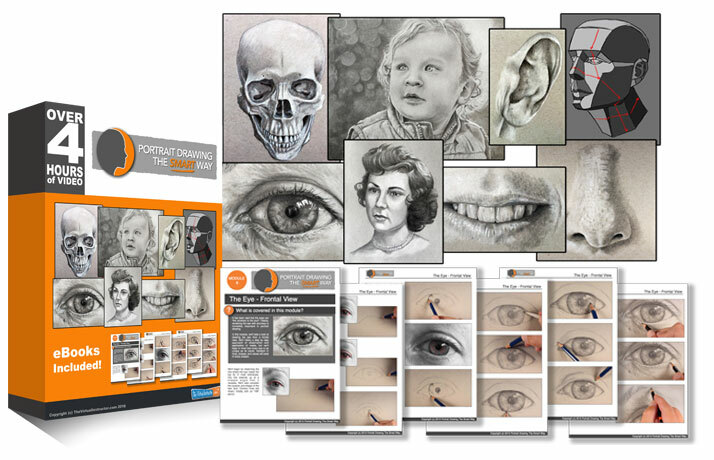 Description: An introduction to "Portrait Drawing The Smart Way" and a look at the materials that will be used throughout the course. The download links are working properly. Are you receiving an error message when you attempt to download? Hi Matt – – – No there isn’t an error message. The problem has to be at this end. Am going to have a long talk with this lap top. Hi Matt I’m looking forward to this as it coincides with the yearly program in the local art group. If they do not see this I’m well ahead. Then coloured pencil and then pencil landscapes. Just purchased this course and am looking forward to drawing portrait. Hi Cent, The download links are working properly. Be sure that you are downloading from the “SD”, “HD”, or “mobile” options – not the “original file”. Matt. I joined the drawing group on Facebook and they are way ahead of me. I needed this to bring me up to date. My downloads are working fine. Hi Matt! Just to let you know that my first experience with the download links of Modules 1 and 2 worked just fine. I love your art work. Thank you for sharing your artistic knowledge with me. why it shows blank while clicking on download page?